Whip up delicious, nutritious drinks and take them with you with the Cyclone Power Mixer. Whip up delicious, nutritious drinks and take them with you with the Cyclone Power Mixer. It&apos;s so easy to make a single serving of your favorite healthy smoothie in the Cyclone Power Mixer. The powerful mixing blades smoothly combine your ingredients and leave no clumps behind. A Sure-Lock flip-top lid lets you blend and take the cup with you. 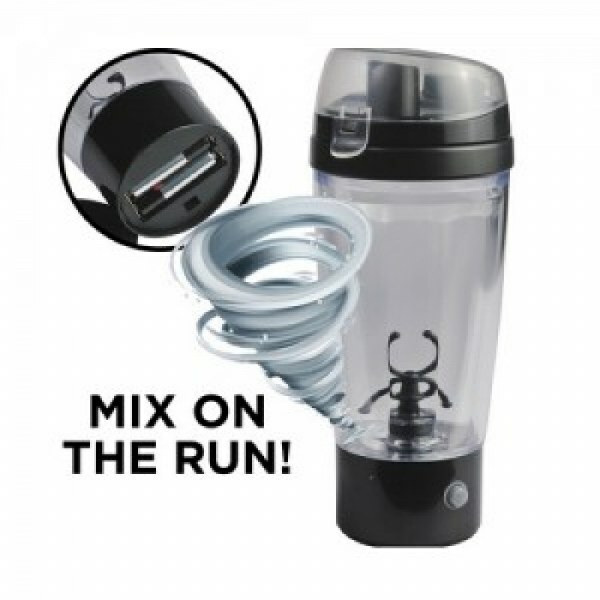 The Cyclone Power Mixer Bottle is the best tool for a quick and easy way to prepare diet and sports drinks, medications, baby formula, gourmet coffee drinks, cocktails, shots and many more.